Women In the Church, or WIC for short, meets the second Monday each month at Miriam Hamer’s home at 840 Troy Ave at 6:30 PM, usually until about 8:00 PM. We begin by enjoying a brief time of fellowship and dessert. Our WIC organizes fellowship luncheons and dinners and various service projects like Samaritan’s Purse and helping needy families, so we collect a love offering and have a very brief business meeting. Our Bible study usually lasts about an hour. 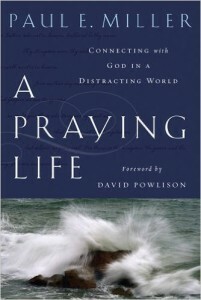 We’re beginning Paul Miller’s A Praying Life on Monday, Mar. 14.